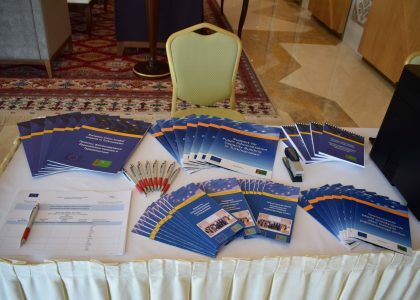 On 12 September 2018, the 3rd Meeting of the Steering Committee of the project “Support for Public Administration Capacity Building in Turkmenistan” took place in ”Archabil” hotel in Ashgabat, Turkmenistan. 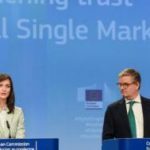 The meeting was attended by the representatives of the project stakeholders. 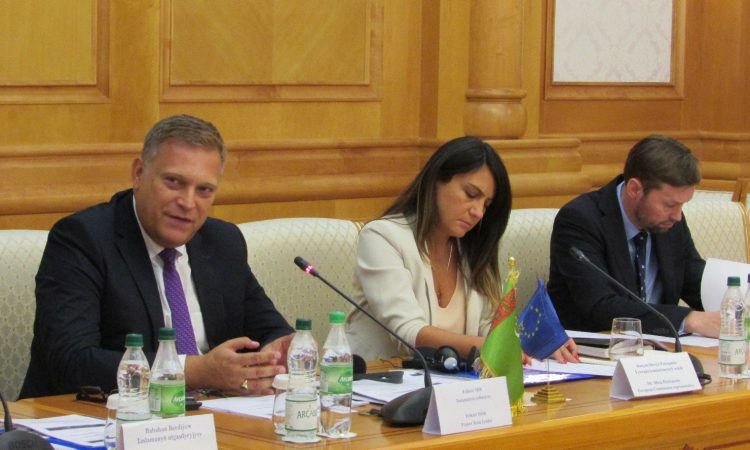 Ms. Silvia Pietropaolo, Programme Manager for Turkmenistan and Mr. Michel Van Hecke, Head of Finance and Contract Section of the EU Delegation to the Republic of Kazakhstan, Mr.Ilya Ikonnikov, Key Expert of the European Union Liaison Office in Turkmenistan also took part in the meeting. The opening ceremony of the session was chaired by Mr. Folkert Milch, the Team Leader of the project, who expressed his strong belief that this Steering Committee meeting will create solid foundations for future cooperation among the project partners. 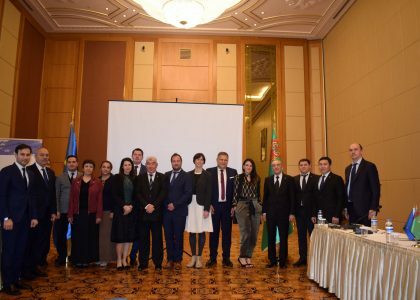 Opening remarks were followed by Ms. Silvia Pietropaolo, Programme Manager for Turkmenistan of the EU Delegation to the Republic of Kazakhstan. In her speech, she highlighted the importance of the active cooperation under the project, which is an integral factor of implementation of all the priority tasks for enhancing the institutional and training capacities of the Academy of Civil Service and of relevant state bodies. 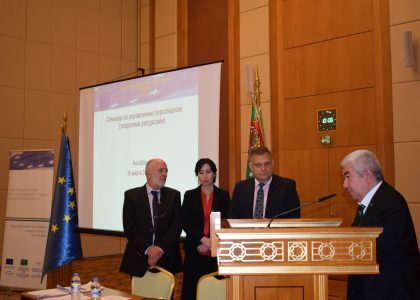 As the main goal of the meeting was to brief and inform the members on the status of the project activities, Mr. Folkert Milch presented the third progress report of the project, focusing on the activities undertaken during the reporting period. Mr. Folkert Milch continued his presentation with the implemented activities under the two components of the project. He presented the work plan for 2018 and underlined that one of the priorities for the project is to focus on the development of a Master’s Programme of Public Administration for the Academy of Civil Service in line with European standards, which could be potentially accredited in future. After the lively discussion of the key areas for future cooperation in the framework of the above mentioned tasks, the members of the Steering Committee meeting thanked the project team for the continuous support and preliminary agreed on the next meeting of the Steering Committee.